Introducing our SM-IK12 Manual Sheetmetal Jenny & Swage Machine. •	Heavy Duty Cast Construction. •	Supplied with 4 Sets Formers. 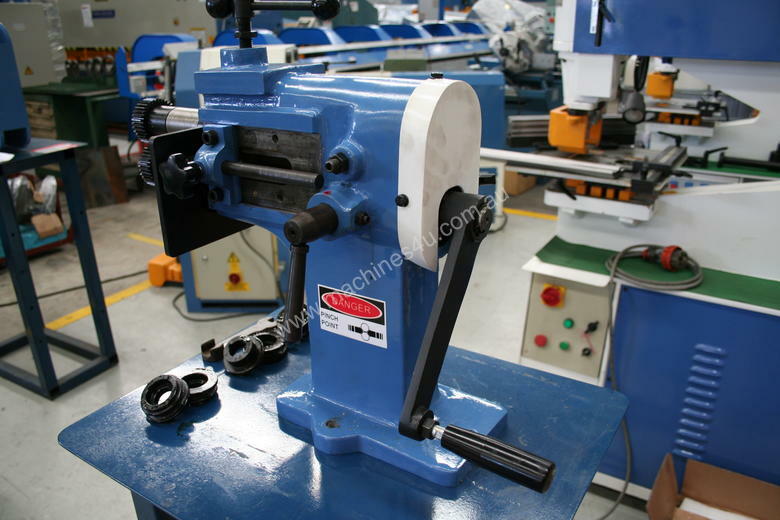 Steelmaster Sheetmetal Jenny & Swage Machine . When looking for a quality Sheetmetal Jenny & Swage, look no further than Steelmaster Industrial. 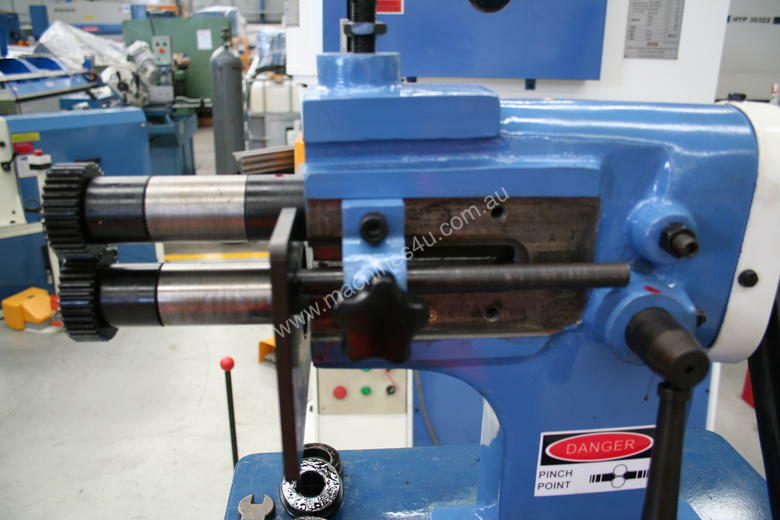 Steelmaster Industrial’s Sheetmetal Jenny & Swages offer the Sheetmetal worker a very high quality machine with superb features and tight tolerances at reasonable prices. Steelmaster carries over 4 models of Sheetmetal Jenny & Swages in stock at all times for quick shipments. 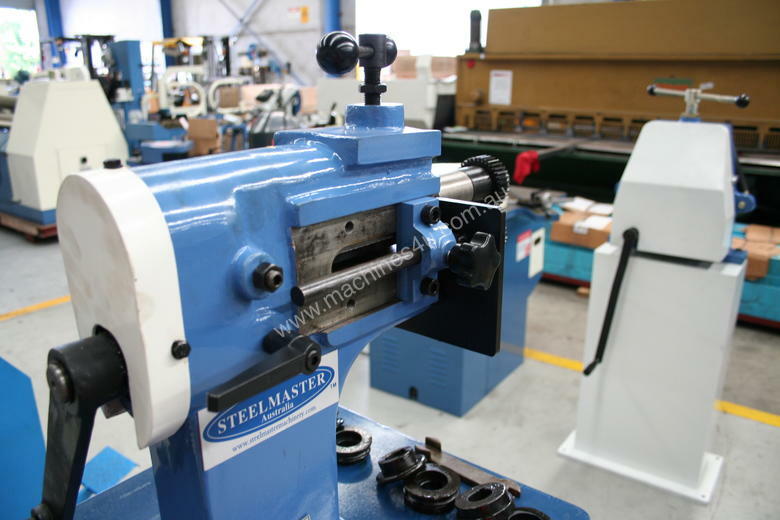 Steelmaster Industrial’s ever growing line of Sheetmetal Jenny & Swages consists of manual & motorized, along with a large range of accessories. Depending on your needs we have the model for you, starting with our cost effective manual machine to our large motorized models. 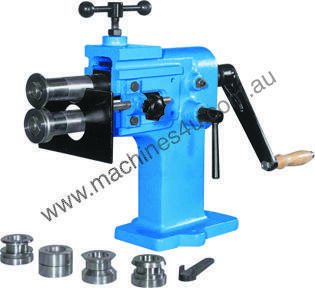 With several models to choose from our manually operated SM-IK12 gives the best “bang for the buck” of any of the Steelmaster jenny & swage machines. This model comes standard with adjustable side support guide and when removed will offer you a throat size up to 250mm. 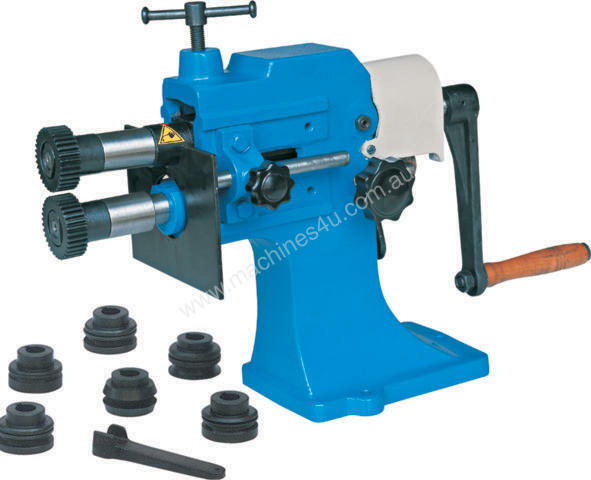 Also supplied are 4 sets of formers for beading, crimping and swaging. Heavy quality cast frame – this is no toy weighing in at 50Kg it bats up great with the heavy weights! Steelmaster Industrial offer one of the best selections of Sheetmetal Jenny & Swage Machines around. From our motorized SM-IKMP12 to our heavy duty SM-IBKS45 with a massive 300mm throat & 4mm forming capacity. 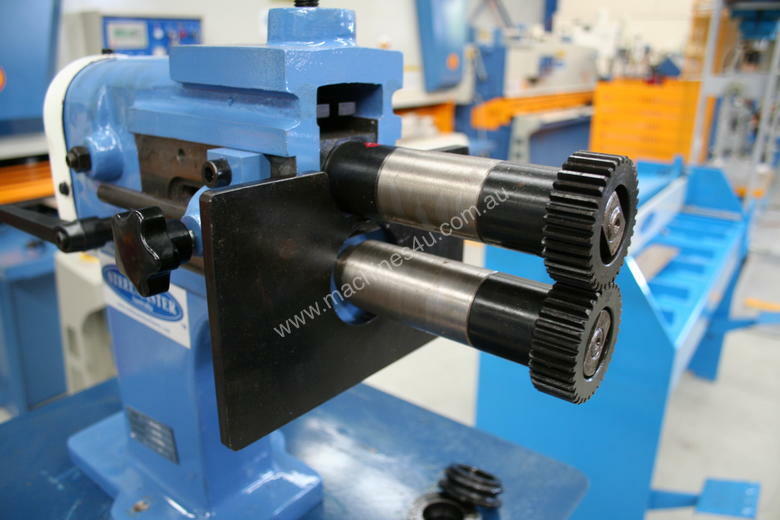 Our Sheetmetal Jenny & Swage Machines have been fitted up to offer you the best selection of features and come standard with safety e stops to ensure all round safe operation.